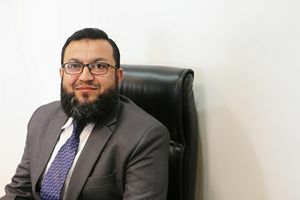 Dr. Asad Rehman, having a teaching experience of more than 19 years, is presently serving as an Assistant Professor in the Department of Management and Marketing, CCBA, Dhofar University, Salalah. He has served as the Chair of the MBA program in CCBA, Dhofar University. His parent organization is Aligarh Muslim University in India where he is an Associate Professor in the Faculty of Management Studies & Research. His areas of interest are Marketing and communication. He has supervised several dissertations in the area of Marketing at post graduate level. He has successfully supervised four doctoral theses in Business administration. He is an avid researcher and has contributed papers in several reputed research journals. He has presented papers in several international conferences. Marketing Management, Advertising and Sales promotion and Consumer behavior. – Member of College Council, Graduate studies Committee. Operations Management, Marketing Management, Marketing communications, TQM, Strategic Management, Consumer Behavior. Projects/thesis supervised:4 PhD theses and over 90 MBA level dissertations.